All-out deals are at Andrew Toyota. Doors open at 9AM on Black Friday. At Toyota, November IS GOvember! And everyone’s raving about our Black Friday savings. Go explore in the versatile RAV4, with cargo space for all your gear. Go road trip in the roomy Highlander with seating for up to eight. Go turn heads in the exhilarating Camry. Go for the green light in the safe and sporty Corolla. Or go off-road in the fun and rugged Tacoma. 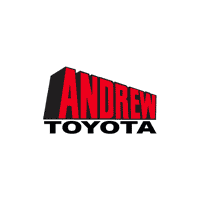 Go to Andrew Toyota today. Toyota value lasts, but these Black Friday deals won’t. GOvember ends soon. Get a Black Friday deal before GOvember is going, going, gone! Some vehicles prototypes. All models shown with options.